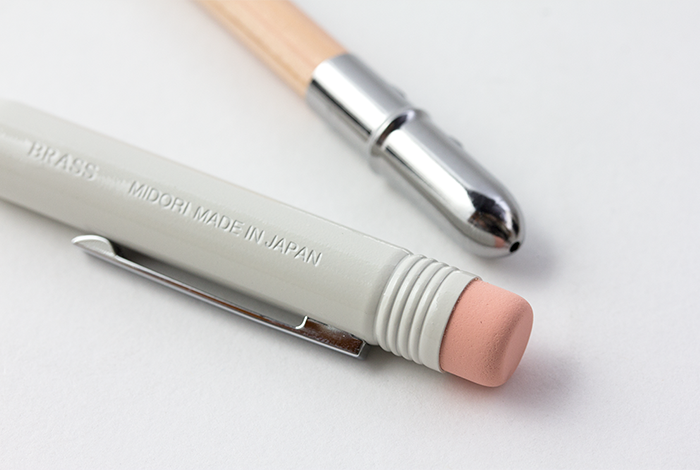 This is a pencil made in a press factory located in one of the historical districts of Tokyo. 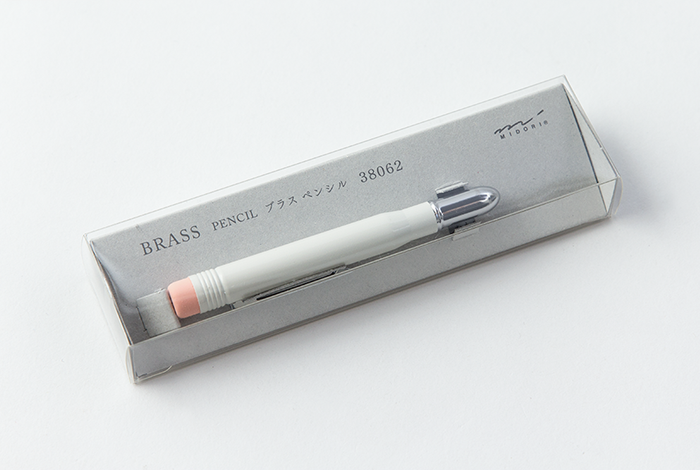 This product consists of two parts, the brass made holder and the actual pencil. 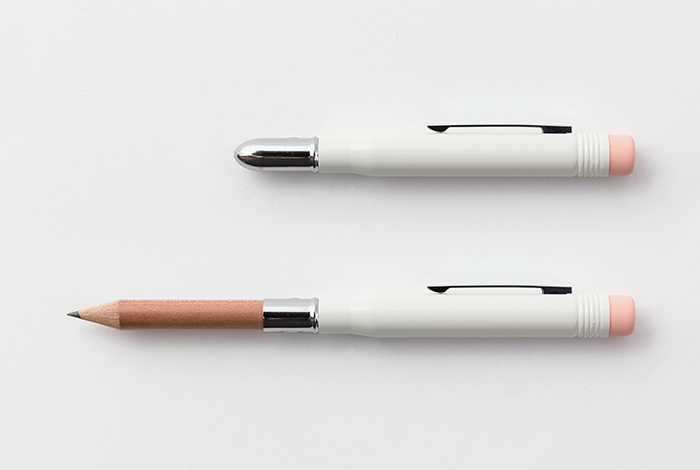 When this is not used, the pencil fits inside the holder, achieving a high level of portability. This portability makes the item serve as a great partner for a traveler. The brass is spray painted, and through its use, the paint starts to fall off and the brass starts to appear, giving it a profound taste. There are refills consisting of pencils and erasers, so once the pencil shortens, please use the refill to continue using this item. 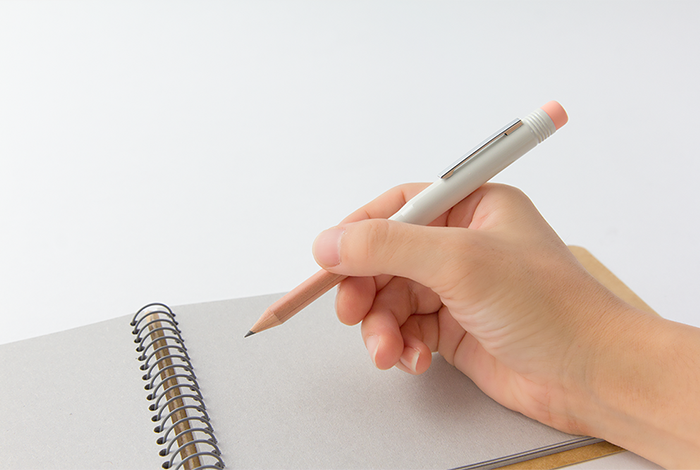 If you have a pencil of your own, then as long as the diameter is the same, you can insert it into the holder as well.